On the boulder of Kaiju, in the West side of the sector. 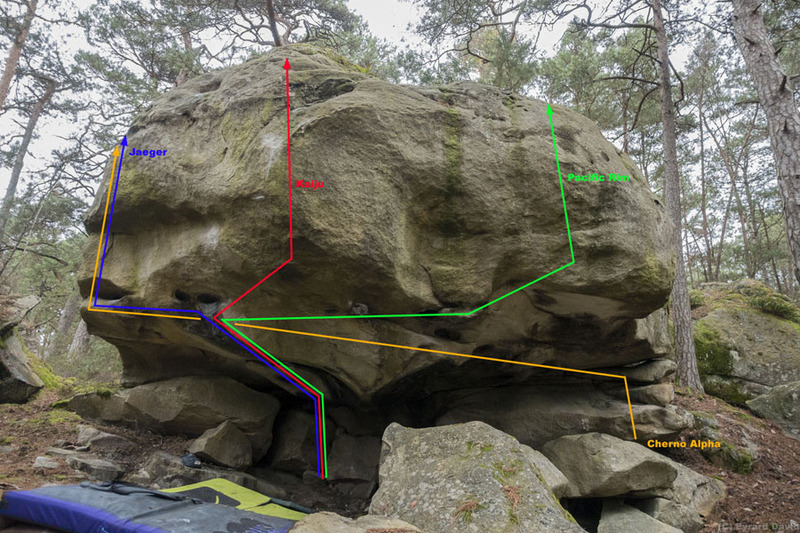 Sitstart on the right, traverse in the overhang with big moves and exit on the left angle as for Jaeger. Access : from a small parking lot on the D64, pass under the motorway and follow La Route Forestière de la Plaine de la Haute Borne, turn right at La Route de la Hase. The boulder is at its crossing with La Route du Furet.